Responsible investment policies can take many forms. If you are writing your first policy, it does not need to be all encompassing – it can be aspirational. Over time, as you develop your responsible investment processes, you can review and update your policy to expand its scope. Review your statement of investment beliefs and core investment principles. Create a plan to develop the policy. Familiarise yourself with ESG-specific legislation and wider guidance. Familiarise yourself with the language and terminology within responsible investment and stewardship. 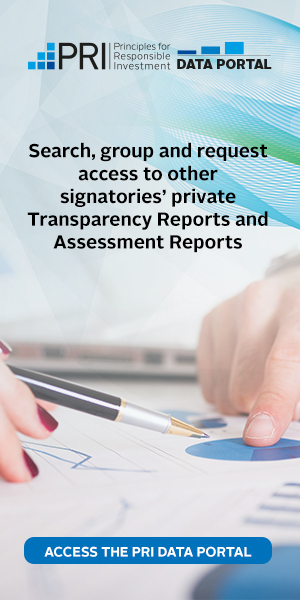 Familiarise yourself with regional and internationl ESG-related standards. Your organisation’s motives for developing a policy – beliefs, objectives and beneficiary needs that underpin the policy. Background on how the policy was developed. For example, if a working group developed the policy, what was its objective and who were its members? Did you consult stakeholders? Does the policy have broad stakeholder acceptance? Reference to existing policies and compatibility with them. Is the responsible investment policy an intrinsic part of the main investment policy or is it a distinct policy? Policy scope. For whom/what parts of the organisation is the policy binding? What asset classes, regions, markets and securities does it apply to? Who approved the policy and how often it will be reviewed? Are there any implications of policy breaches? Responsibilities in relation to the policy, e.g. Chief Investment Officer, Investment Team, Board, etc. Your definition of responsible investment. If you do not have one, you can use Mercer’s definition: ”The integration of environmental, social and corporate governance (ESG) considerations into investment management processes and ownership practices in the belief that these factors can have an impact on financial performance.” Please note that local SIFs may have vocabulary in the local language. Your definition of a responsible investment. What kind of investment objectives are you looking for? Your definition of ESG of ESG factors in relation to your investments. You can refer to the United Nations-supported Principles for Responsible Investment (PRI). Identify the responsible investment strategies/practices that fit with your organisation fs investment process and philosophy. Consider how your policy will apply to both internally and externally managed assets. Consider jurisdictional specificities and legal aspects that may affect the guidelines. ESG standards for investee companies– Minimum environmental, social and governance (ESG) standards which your organisation expects investee companies to adhere. The depth of content in this section may vary widely. At one end of the scale, you may choose to have only a high level statement on ESG. On the other hand, and possibly a goal for the future, this section could include specific details around how companies manage ESG issues and minimum standards, for example Environmental Management Standard ISO14001, which you expect them to adhere to. Asset classes– Guidelines and procedures for responsible investment practices across different asset classes; for example, listed equities, bonds, private equity, real estate, hedge funds, commodities etc. If you do not have specific guidelines for the asset classes you invest in, you could include which asset classes the policy is more generally intended to apply. If you are at the beginning of your journey, you can indicate the sequence of priorities according to which you intend to progressively apply your policy. External managers– Guidelines for working with external managers. This could, for example, include a short statement that external investment managers should have a RI policy in place or adopt the asset owner fs own policy. It could further include guidelines on manager selection and monitoring, for example inclusion of ESG issues in RFPs and requirements on reporting on RI issues. Positive and negative screening– Guidelines on what you prefer investing in and why (for example specific sustainability themes) and on what you will refrain from investing in and the reasoning behind that. ESG integration– Guidelines on integrating ESG issues into investment analysis and processes across the assets classes. Will ESG integration be done in-house or by external managers? Themed investing– Guidelines on themed investing and impact investment. Voting, including AGM participation and proxy voting. Company engagements, including how your organisation will decide on which engagements to conduct, which companies to target, how you will measure success, and your approach to divestment. Which ownership activities your organisation may take, such as voting, engagement, raising shareholder resolutions, request a seat on the board, etc. If you have a separate active ownership policy covering voting and engagement, you could for example state a global active ownership policy here, and include your more detailed policy on specific issues and shareholder proposals in your active ownership policy. Will your active ownership activities be organised by internal staff or be outsourced? Who will supervise these activities: the board/investment committee/RI committee? In what form and how often do you expect your external managers to report on proxy voting conducted on your behalf? How, when and to whom you will report. Level of publicity, i.e. available publicly or only to clients? Internal review processes. This could for example include what is expected in terms of reporting from portfolio managers, external engagement and proxy voting provides, and what review processes should be put in place by the board/investment committee/ responsible investment committee to ensure objectives are being met. Guidance on key performance indicators to measure the outcomes of your RI activities. How well is the policy working? Is it achieving the goals you set out for it? Are policies consistent with investment beliefs? Has anything changed that requires you to change you ESG policy? For example, have you expanded into new asset classes that are not yet covered by your policy? Are there new approaches to responsible investing that could be added? An investment policy guides an organisation on investment decisions, asset allocation, ESG incorporation, how asset managers are selected and appointed, how active ownership is carried out, and how an organisation reports on its activities. Investment policy is instrumental to achieving an organisation’s vision and mission.